Ever wonder why your phone responds faster than your computer? It's because your phone runs on flash memory. 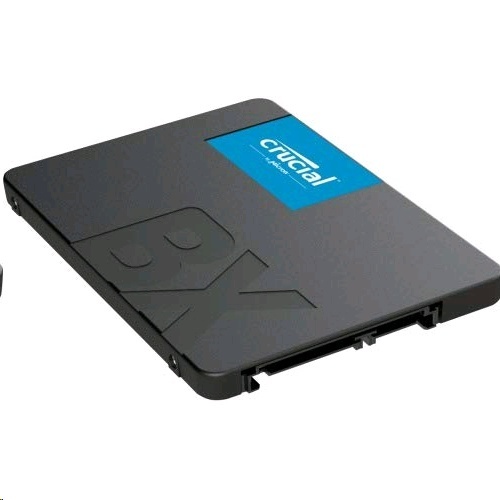 Add flash to your laptop or desktop computer with the Crucial BX500 SSD, the easiest way to get all the speed of a new computer without the price. Accelerate everything. Improve Performance , Boot up faster. Load files quicker. Improve overall system responsiveness for all your computing needs. Award-Winning Support. Our expert support team has your questions covered. Reach out via phone, chat, email, or our community forum. We back thousands of validation hours, dozens of qualification tests. Micron quality-a higher level of reliability, With thousands of hours of Micron pre-release validation, dozens of SSD qualification tests, and a heritage of award-winning SSDs, the Crucial BX500 has been thoroughly tried, tested, and proven.